The Young and the Restless (Y&R) spoilers tease that the Abbotts will face a tough task. Next week, on new Y&R episodes, January 22-26, they’ll be forced to make a heartbreaking choice. Graham’s (Max Shippee) the ruthless menace who ripped Dina (Marla Adams) out of her home and plotted her murder, but his actions will have consequences for Dina. She’ll deal with great pain thanks to her companion’s terrible tactics. In Wednesday’s Y&R episode, Dina’s backed into a corner and has to fight back. She stabs Graham in the arm with the syringe he intended for her. Dina will confess what she’s done on Thursday, January 18, so Ashley (Eileen Davidson) and Jack (Peter Bergman) will have to figure out how to handle it. Graham’s dead body may be right there in front of them, so honesty is the best policy. They need to share this news with Paul (Doug Davidson) ASAP. This is a case of self-defense, but it still isn’t the ideal situation for Dina. More drama is the last thing she needs to be dealing with. Dina burned down The Underground, stabbed Nikki (Melody Thomas Scott) and kidnapped Christian (Jude and Ozzy McGuigen) while under the Abbotts’ care. Now it seems Dina’s killed Graham on his watch. Dina just can’t escape chaos, not matter who’s monitoring her in town. She probably needs to be somewhere that’s locked down where she can’t cause harm and no harm can come to her. The Young and the Restless spoilers state that the Jack, Ashley and Traci (Beth Maitland) will mull over their options again. Round-the-clock care at home may not cut it. They may agree that Dina needs to be placed in a secure facility for her own safety and the safety of Genoa City. The incident with Graham isn’t Dina’s fault at all, but the judge could still push for a more structured environment. Dina always finds a jam to get stuck in, so this might be the best plan. The Abbotts won’t want to let go, but they may determine that they have no choice. Of course, Jack and the others would visit Dina often. They won’t let her feel neglected, so The Young and the Restless spoilers say Dina could remain part of the story. This may simply be an important part of Dina’s difficult journey. 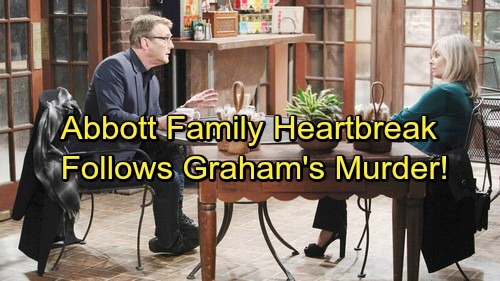 Whatever the case, Y&R viewers can expect some emotional scenes pretty soon. We’ll give you updates as other details emerge. Stay tuned to the CBS soap and don’t forget to check CDL often for the latest Young and the Restless spoilers, updates and news. 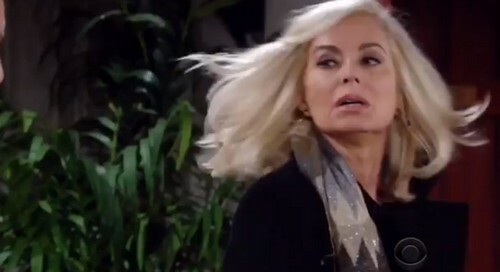 The Young and the Restless Spoilers: Nick’s Carelessness Sparks Underground Blaze – Shocking Outcome – Who Dies In The Fire?